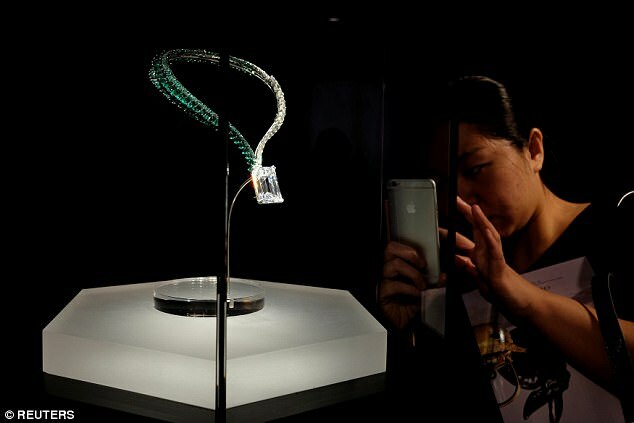 De Grisogono most expensive diamond illuminated by DiaLumen! 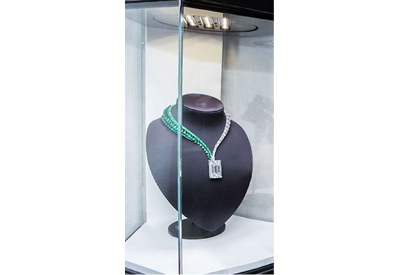 Introduced in London, New York and Geneva in a black showcase illuminated by DiaLumen, the De Grisogono famous necklace featuring a giant 163.41-carat colorless diamond was sold for $33.7 million at auction last Tuesday. A record for the most expensive D color flawless diamond ever sold at auction, surpassing the prior record by more than $3 million. The diamond is the main stone of an asymmetric gem-studded necklace designed by Fawaz Gruosi, founder of Geneva jeweller De Grisogono.